Lancome is renowned for their mascaras, I don't think you can be a beauty addict without having tried at least one Lancome mascara. Hypnose Doll Eyes is the first one I have tried and to be honest the only one I have purchased full size. Now as it is nearing its end, I figured it was about time I reviewed it considering it made it into My Top 11 Products of 2011 post. I am lucky to be able to say I have been genetically blessed with lashes that are long and thick. I refer to it as my family inheritance, my Mum and my brother both have them. Though my brothers are even longer and thicker. It is so not fair! Such a waste on a boy. When purchasing a mascara I look for one that will darken my lashes while curling them, add volume and some length. I hate mascaras that clump up my lashes or make them poker straight. I have found the Hypnose Doll Eyes mascara lengthens my lashes whilst adding volume and curl. The conical shaped wand allows you to reach all those little lashes in the corners. The colour is a nice dark black. My lashes are not clumped up and are nicely defined. This mascara does not flake or smudge during the day. The mascara lasts all day on my lashes. I love this mascara. For me it really gives the 'doll eye' look, my eyes look bigger and brighter. I have gotten numerous compliments on how long my lashes look with this mascara. If I put my glasses on too quickly after applying, I end up with mascara on my glasses. My current one is almost finished but I will be repurchasing it in the future. 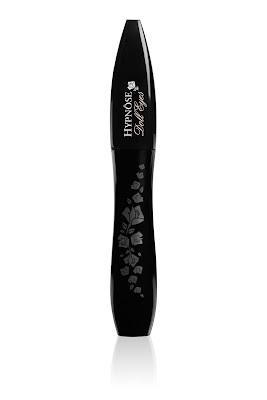 The Hypnose Doll Eyes mascara is pricey at $52.00 but definitely worth it and I have had mine for close to 12 months (yes, I know the whole 3-6 month expiry date but I don't follow this if the product is still fine and I never suffer from eye infections). Have you tried Hypnose Doll Eyes mascara? Have you tried any other Lancome mascaras? What is your favourite mascara? I have tried a few Lancome mascaras, but I find that they all drop small particles which irritate my sensitive eyes. I much perfer Estee Lauder mascaras! I love love love Lancome Mascaras. My favourites are L'extreme and Hypnose Drama! I got one as a gift but since I only use waterproof mascaras, I don't want it.